Swiss luxury watch brand Frédérique Constant Genève announces the introduction of its new Amour Ladies Automatic Collection designed by ShuQi, the famous Taiwanese-born movie star & glamorous personality, who has been the Frédérique Constant Brand Ambassador for Greater China since 2008. Through the advertising campaign for Ladies, ShuQi has already actively supported Frédérique Constant charity campaigns in China with the Paint a Smile Foundation and Beijing Children’s Hospital. This year, in close collaboration with the designers of Frédérique Constant, she presents her own range of timepieces: the new Amour Heart Beat Automatic. ShuQi’s recent visit to the Frederique Constant workshops in Geneva to settle the final details of this new collection, formed a great opportunity for a photoshoot, which will promote her new collection in Greater China and around the world. Classic yet elegant, feminine and sophisticated, the new Frédérique Constant Amour Heart Beat timepieces designed by ShuQi were developed with passion, to reflect all the values and aspirations of today’s women. With a gently rounded and comfortable case of 34mm diameter, either in stainless steel or in rose gold plated, these new models have a fine decorated dial with a subtle heart-shaped guilloché decoration in the center and a mother of pearl outer ring finishing. 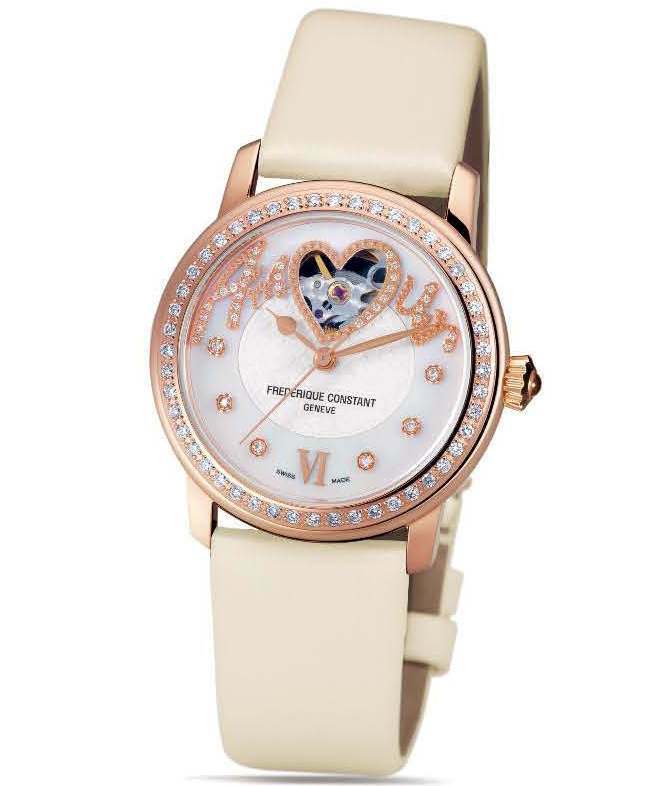 Available in opaline white, sweet vanilla or gourmet chocolate, the dial features a charmingly written ‘Amour’ decoration with iconic diamond-set heart-shaped opening at 12 o’clock, which reveals the beating of the balance of the movement. This highly decorated automatic calibre will seduce women appreciating fine Swiss watchmaking art. 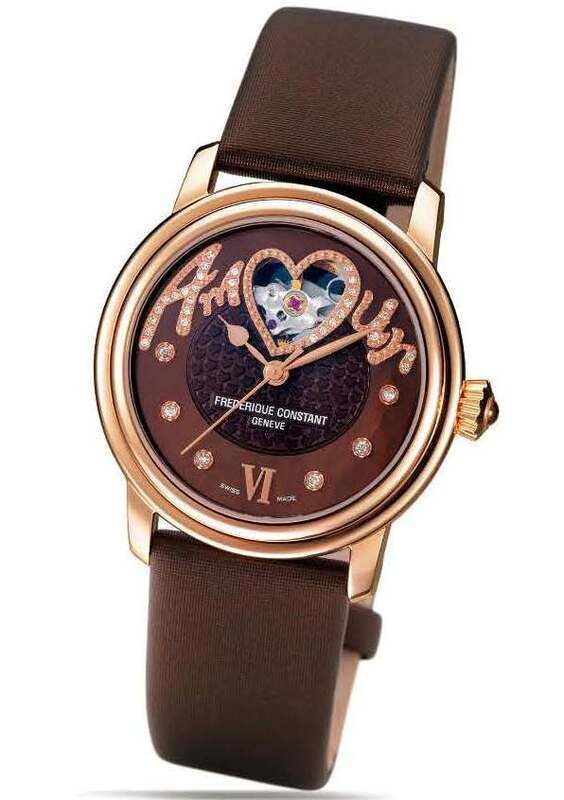 As with the entire Ladies Heart Beat Collection, for every Amour Heart Beat watch sold, Frédérique Constant donates the cost of a life-saving heart scan to the International Children’s Heart Foundation. Technical details of available models are given below.